Spoons ready... On your mark... Get Set... Go! You have about three minutes to eat this cereal before it starts to get mushy. During those three minutes, you will experience a light crunch and a toasty sweetness. After three minutes, it will feel like you are eating the bottom of a bowl of raisin bran cereal minus the raisins. Good luck! If you like a long-lasting crunch, this may not be the cereal for you. 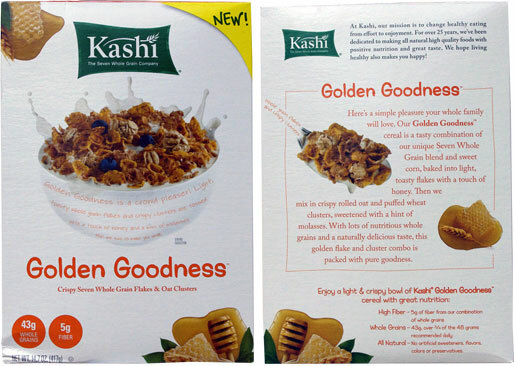 For those less concerned with crunch, the bottom line is that Golden Goodness is good. The taste and consistency of this cereal reminded me of crumbled bran flakes mixed with the small bits left in the bottom of a box of granola. That might not sound too enticing, but something about it works. It's flavored with honey and molasses... not the most exciting flavors. But when that kind of sweetness (in the right ratio) mixes with an interesting combination of grains, something sort of wonderful happens. If you relax and let your mind drift, you start to sense flavors that aren't really there... vanilla, almond, caramel... a hint of maple? 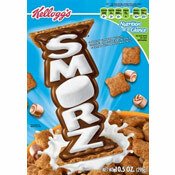 This is a cereal to be savored and enjoyed like a glass of wine. 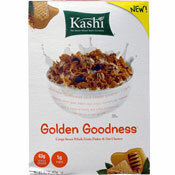 If you are rushing around with the TV on, Golden Goodness doesn't have the flavor to compete with sensory competition. It will seem boring. If you can take the time... just 3 good minutes... and relax, you'll probably like it. Nutritional Considerations: Each 1 and 1/4 cup serving has 210 calories, 1.5 grams total fat (0 saturated and 0 trans), 49 grams total carbs, 5 grams dietary fiber, 9 grams sugars and 6 grams protein. What do you think of Golden Goodness? I also had the same problem with this cereal. I feel like it got mushy too quickly. But those few crunchy bites were delicious. Overall, the taste was good, but just mushy.